Instead of preparing for a global cataclysm, learning about water storage and building bunkers, they’re constantly on the lookout for ways they can proof their marketing for, or get ahead of, inevitable and dramatic changes to the marketing landscape. Frequent and mysterious algorithm changes. New ad platform features. Emerging trends, dying fads. Amidst all this, only marketers who understand these new conditions — then adapt and innovate within them — will see exponential returns. What does the ever-increasing prominence of Artificial Intelligence and Machine Learning mean for marketers and their jobs? Are “tried-and-true” frameworks like the buyer persona still relevant, or are there new ways of digging deeper to speak more closely to my target market? Have traditional SEO tactics become completely outdated? Why are the most successful SEOs now becoming well versed in conversion rate optimization? How can you use data to inform your marketing without letting personal biases get in the way? These are questions we’ve seen tossed around recently in our newsfeeds and at conferences. So we set out to help answer them. In Call to Action Magazine, we aim to address these questions and dig into some of the recommendations the experts in our network have shared — those that will help you create exceptional marketing no matter what new algorithm comes along. So, what do you say? Do you want to get lost in the rubble… or do you want to learn how you can future-proof your marketing? Ready to Future-Proof Your Marketing? 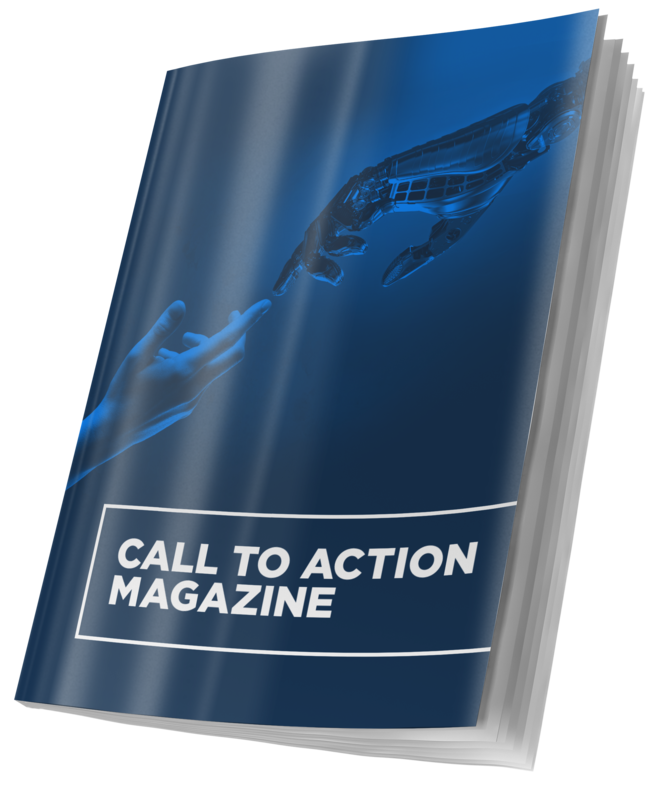 Call to Action Magazine is filled with recommendations from marketing experts to help your marketing thrive — no matter what algorithm gets changed tomorrow. By accessing the magazine, you’ll receive actionable marketing content from Unbounce. You can unsubscribe at any time.